Share your resume simply by showing your CMU ID! Networking reimagined! After the end of Encompass and Jumpstart career fairs last week, our team wanted to create an easier way to network without the hassle of carrying around a bunch of resumes. 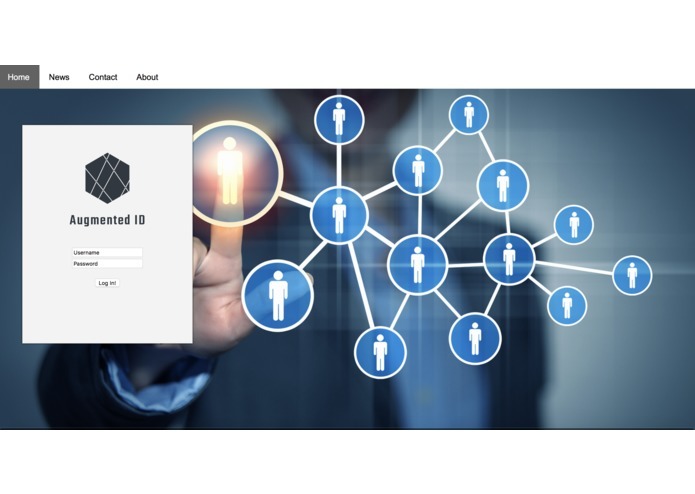 Our solution: creating a virtual resume/profile linked to our school IDs. Augmented Identity is an app that can recognize your unique CMU ID and present your skills and profile in augmented reality. In order to create a profile linked with your CMU ID, simply go online and register with Augmented Identity. Your account will prompt you to submit the links to your LinkedIn, Facebook, or personal websites. Then when recruiters use the Augmented Identity app, they can scan your ID and immediately see and save all your information! We used many different utilities and wove them together in order to complete our project. Our project consists of two main sides: an iOS application and a website. The app uses Google Firebase's Vision, Machine Learning, and OCR (Optical Character Recognition) modules to recognize an individuals' CMU ID and display their resume in Augmented Reality using ARKit. It extracts your name off of your CMU ID and uses Alamofire to send your name to a Flask server. Flask then looks for your name and sends the corresponding data i.e. your GitHub, Facebook, etc, back to the iOS app. To gather this data, we created a custom website for users to create accounts and prepare their profiles to be viewed on the app. Learning a ton of new frameworks including Flask, ARKit, Firebase modules, and Alamofire HTTP requests. Getting an OCR module that would effectively and correctly read text from our ID's and not slow down our app in the process. Sleeping on the floor in Gates is not a good idea. My back still hurts. I worked on creating the iOS app using Xcode and ARKit. I also helped with the Flask server development. In this project, I learned how to use ARKit, Firebase OCR and ML tools, Alamofire, and Flask. Worked on backend server. Used Flask. Webscraped for github repository description. Used Beautiful Soup. I worked on the backend server that allowed data from the website to be sent to the phone.